Small Business Decisions – Is an LLC Right For You? Starting a small business? For legal and tax reasons, you’ll need to choose a structure for the business. LLC’s are best for small businesses such as retailers - but what are LLC’s and how do you form one? In this article, we’ll explain exactly what an LLC is and how you can go about creating one for your new business. LLC stands for Limited Liability Company. LLC’s are unincorporated associations meaning are not defined as corporations. This type of business structure is ideal for small business startups in industries, like retail or hospitality, for a few important reasons. The advantages of an LLC for small retailers lie in the company’s government-defined structure, which is essentially a combination of two larger types of business structures; corporations and sole proprietorships. Limited liability company’s feature the “limited liability” of a corporation and the “pass-through taxation” of a sole proprietorship. We’ll go into exactly what these terms mean and what they can mean for your small business later in the article. There are a few other interesting things to know about LLC’s. The first is that owners of LLC’s are called “members”. Membership in the business can consist of 1 or more individuals. The second is that the rules governing your LLC may vary from state to state. Most notably, tax rates for LLC’s can be very different from one state to another. Every state government has different rules, regulations, and requirements and these are things you should be aware of before starting an LLC. As mentioned above, one of the main draws of LLC’s to small business owners is the limited liabilities and pass-through taxation benefits they offer. But what exactly do these phrases mean? Limited liability means that business owners will not be personally responsible for anything that occurs in association with their company. For example, if someone falls on the business property, you as an individual cannot be sued for damages. Likewise, if the LLC falls into debt, members’ will not be required to pay it off through personal assets. The liability is that of the LLC and the LLC only. This type of personal asset protection is particularly attractive for small retailers or restaurants operating within competitive local environments where new businesses often fail to thrive. Pass-through taxation means the limited liability company’s profits/income pass directly to the members of the company and they personally are taxed on this income. By comparison, corporate business structures are taxed directly on all profits. This style of pass-through taxation is less complicated than that of corporations, which is an advantage to small retailers. Lastly, LLC’s are generally easier to form, requiring less startup costs and paperwork. This structure makes it easier for members to get off the ground with their small business! If a member of the LLC decides to leave the business, the company has to dissolve, have a buyout, or find a replacement. This rule can shorten the life of many limited liability companies. Though the remaining members of the business can always choose to start a new LLC following an unplanned departure, this rule is definitely something to consider when going into business with others. Ask yourself; are they in it for the long term? We all know life is full of the unexpected, so even if something does come up and an LLC member must leave the business you can have provisions in place to make the transition easier on all the parties involved. One more disadvantage for all you big dreaming entrepreneurs out there; LLC’s cannot become public. If your business takes off overnight (and we really hope it does!) you’ll need to switch the business structure to a corporation or S corporation. Your state government will be the best possible resource for finding the exact details on how to implement the below. You'll need to file all business incorporation information directly under the Secretary of State. Displays2go is located in Rhode Island so we would check out the Secretary of State page on RI.gov before starting to legally set up an LLC. For now, here are the basics to help you get started. This is a chance to set your business apart from the crowd before you even open your business’ doors. 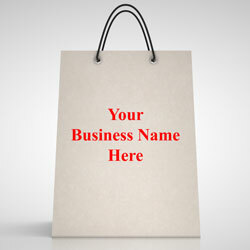 Choose a memorable name that encompasses what you want your brand and business to stand for. Also very important - the name cannot not be the same as any other LLC operating in your state. Check out this section on the Small Business Association site for more info. You may also consider trademarking your business name to provide some legal protection against imitators. Though not always required by law, writing an operating agreement for your business is definitely a good idea. Use the agreement to define percentage ownership and profit shares in the business - particularly important elements for LLC’s with multiple members. Also use the operating agreement to outline the responsibility of members, a management plan, as well as buyout and sellout rules. As mentioned earlier, having a plan in place to handle departures from the business is very important. Depending on the type of small business you’re starting, you may have to obtain permits or licenses with your state & federal government. So, is a limited liability company right for your small business? With this information (and a little legwork) you should be well on your way to starting your own LLC! When your new business is ready to open, come on back to Displays2go for all the marketing and display products that will make it a success! From outdoor banners announcing your grand opening to countertop brochure pockets holding menus or promotional leaflets, we've got you covered!